2.1 What Exactly Is a Car Power Inverter? 2.2 How do car power inverters work? 2.3 What are the advantages of owning car power inverters? 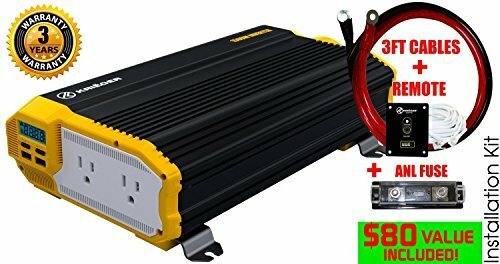 4 How to Hook Up a Car Power Inverter? Do you get frustrated when you are away from your home and you can’t charge your laptop, play a portable stereo or watch TV? Then you should seriously think about purchasing a power inverter for your car. These simple devices make it possible to have an AC outlet to use anywhere you take your vehicle. They can be an indispensable item when camping, tailgating or on a long road trip. They charge much faster than a car battery charger and are ultra-simple to hook up and use. Best of all they are a very affordable device so there is no reason to ever be without one. In this article, we will do several car power inverter reviews and also give you some other helpful information about these great devices too. 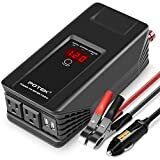 Once you have this information you will know exactly how to go about purchasing the best car power inverter for your needs. 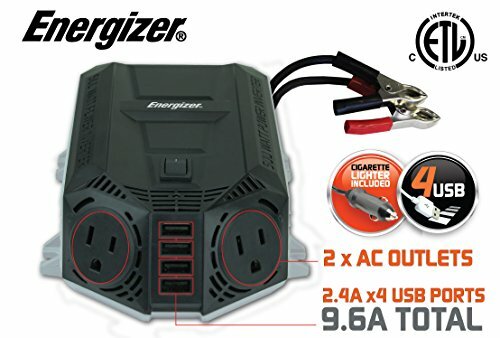 This car power inverter that is only made for light duty AC power supply purposes. It will supply up to 150 watts of continuous energy to any product that is plugged into it. That is plenty of power to such things as charge or run a personal laptop computer. It comes with one built in standard household electrical outlet and two very handy USB charging plugs. This product also features several automatic protection protocols and is extremely lightweight and portable. This unit is really compact in size. That makes it great to use as a unit you can take with you as you travel. It only takes up 3.2 x 2.5 x 1.5 inches of space in your suitcase or backpack. It also features a simple hookup into your car’s auxiliary power point plug. Even though this only supplies up to 150 watts of continuous power that is still enough to run more than one appliance at a time. The problem is this unit only has one standard household electrical outlet built into it. This product also gets very warm to the touch quickly. Krieger has impressed us with this nice car power inverter. They obviously put a lot of thought into the design of it before they started manufacturing it. It is simple to use, affordable and is a great way to get the AC power you need when you are on the go. It will supply you with up to 1100 watts of power for which to charge or run your AC devices. 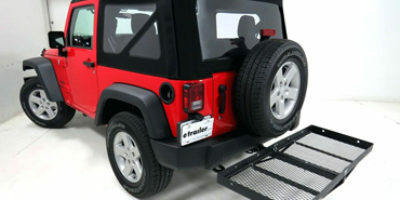 This unit is solidly built and even features legs that you can use to mount it somewhere in your automobile. It comes with a generous 3 foot long 4 gauge cable to hook up to your car battery and it has a digital readout display too. There is an included fuse for overload protection and this device can even be operated by remote control. The 3-year warranty you get with this product is a nice little bonus also. Krieger thought of everything when it came to putting power outlets in this device. You have not one standard household AC outlet like most power inverters but with this model, you get two. It has a 3-foot long cable to There is even two built-in USB ports you can use for charging your phone and other devices too. This product is also super compact for all that it does. There was not much we did not like about this model car power inverter. Some users experienced some problems with the remote control and its low wattage shut off sometimes shuts the unit down when the car engine is not running. This is another very well-designed car power inverter product. BESTEK has built many outstanding features into this portable AC power source. It will supply you with up to 1000 watts to run two different devices at the same time when hooked up directly to your car’s battery. This is a car power inverter unit that works well and is built tough too. It has two standard household electrical outlets built into it. This device is also well protected with such things as a low battery shutoff, overload protection, and several fuses. The manufacturer backs this power inverter unit up with a fairly decent 18-month warranty. 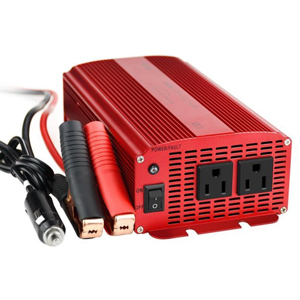 This model power inverter looks good too with its fire engine red color. We like how easy this model car power inverter is to hookup. You have your choice between plugging it into your car’s power point outlet or you can hook it up directly to your battery for less power drop-off. There were a few concerns we had with this product. One was that even though it can supply 1000 watts of power the manufacturer advises you hook no bigger than a device that draws 150 watts up to it when plugged into your car’s dashboard power point. The battery connections supplied with this car power inverter could use a little improvement too. 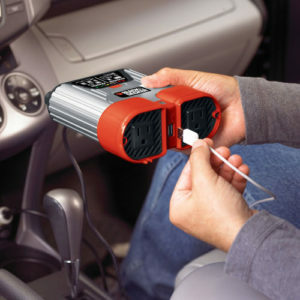 This is perhaps the simplest car power inverter we have on our top review list. Its main function is to recharge and run low wattage devices that require an AC plugin. It is definitely not a model to be used on your boat, RV or big rig. It will supply any device you plug into with 500 watts of continuous power. That is enough to charge your computer or attach a small light to it. It even has two USB ports built into for charging or powering your smart devices too. This charger is great for those individuals who don’t require a lot of standard AC electric power use in their vehicle. The size of this car power inverter is what we liked best about it. It plugs easily plugs into your vehicle’s power point outlet and takes up only a small 8”x4”x2” inches of space. That means this is a great inverter to purchase to travel with you so you can have AC power in your rental car too. We had a couple of things that we did not care for with this product. For one, you could not hook it up directly to the battery. The other one is that you cannot run bigger devices such as a TV with this power inverter setup. Here is a very nice car power inverter from POTEK. 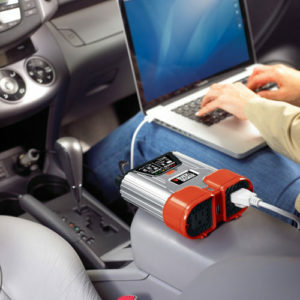 It is specially designed to charge and run a laptop on AC power in your vehicle. Not only that but it can handle running any standard AC electric device that uses 750 watts of continuous power or less. This device has two standard household AC electrical outlets and two USB type outlets also. It also has a built-in fan to help keep it cool as it runs and extend its useful life. There are also many handy safety devices built into it such as fuses, overload protection and overheat protection. This device can supply you the AC power you need in your vehicle in two different ways. For lower wattage devices you simply can plug it into your car’s power point outlet to get the AC power you need. For larger wattage devices it can conveniently hook up directly to your vehicle’s battery. This device is well-designed but not perfect. We feel the 24-inch cigarette lighter plug in cord would serve you better if it was a little longer. It is also not recommended to run any type of equipment with it that produces sound because it has some natural interference that it emits. 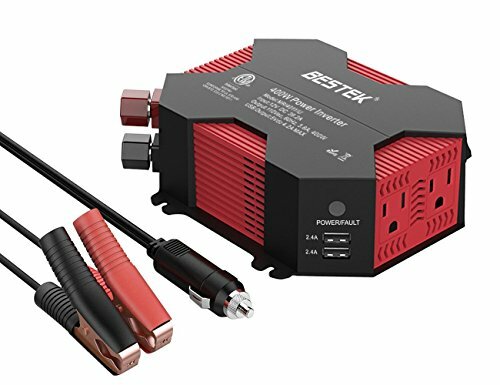 This is another really good car power inverter from BESTEK. This is a scaled down version of the model we took a look at under item number two in our top power inverter countdown. It is a good device to have in your car for powering AC equipment that requires 400 watts of power or less. It is a car power inverter that you can plug in any AC-powered device into either of its dual 110V standard household electrical outlets. There are also 4 convenient built-in USB charging or power points too. This unit can plug into a cigarette lighter for light power needs and can also be hooked up directly to your vehicle’s battery too. We like the cooling fan that is built into this car power inverter. These devices naturally run very hot as they do their job and a fan will help keep it cool as it runs and in turn extend the life of the unit too. We felt there were some problem areas with this product too. The fan runs a little loud at times so you would probably not want to use it when camping or near the sleeping quarters of your boat. It would also be better if you could adjust the fan speed for times when it does not need to run on full speed. In case you are not familiar with what a car power inverter is and how it works, we will give you some helpful information on these topics. That way you will be better informed when you go shopping for a new one. What Exactly Is a Car Power Inverter? In your home, you have many power outlets for running things such as your refrigerator, TV and coffee maker. These devices all plug into a standard household outlet that will receive a three prong plug. All these devices that use power from your home run off of what is called alternating current (AC). This current is constantly moving in different directions in your household electrical lines. The electricity in your car is quite different from your home. It is what is known as direct current (DC) this current is produced by your car’s alternator and then is stored in your battery. It only flows one way and that is from your battery to where it is needed in your car (hence the term direct current). The problem with this type of current is it only can provide a relatively low voltage which is not enough to run most household devices. A car power inverter is a simple device that converts the ‘DC power’ electricity in your car into usable ‘AC electricity’ like your home has. 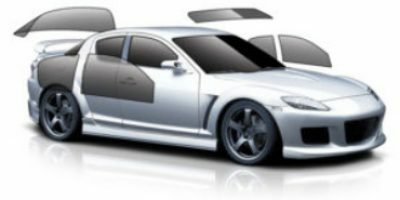 Once the DC power in your car has been converted to household type AC power you can then run laptops, TVs and stereo equipment off the power that is produced by your vehicle. How do car power inverters work? It was mentioned that DC power does not generate a very high voltage. That is where having a car power inverter comes into play. It actually does two things as the Dc energy flows into it. The first thing it does is boost the voltage of the incoming electricity. A power inverter significantly increases the DC voltage coming into it to a range that is better suited for AC devices. Once the voltage of the incoming DC power is increased it’s then converted into the same AC power that is found in your home. Once these two steps have been completed the power outlets on a car power converter can then supply AC current to any device that needs it to run. How did they get the name power inverter when they really convert power from one form to another? It’s because these devices came about after a device was developed that is known as a ‘power converter’. A power converter takes AC voltage and turns it to DC voltage. So when the opposite technique of turning DC power into Ac power was developed it needed a different name. hence the car power inverter was born. What are the advantages of owning car power inverters? A car power inverter can offer you numerous advantages when you own one and they are not just for vehicle use either. Here are some examples of why they are a great device to own. They are the perfect tailgate companion so you can run a TV, portable stereo or other electronic devices. If you are going camping you can now bring your computer, TV or portable fan along to be used too. On long road trips, you can nicely keep your computer, phone, and portable DVD player fully charged and usable. They can be a nice emergency power option after a storm or other unforeseen event that causes a household power loss. It is perfect for over the road truck drivers to install in their rigs. Now your boat can have all the advantages that having an AC power outlet in it has to offer. Car power inverters are typically pretty affordably priced. It should not be a huge factor in the decisions you make between models. Keep in mind though that are some sales and very good deals out there in the auto marketplace on car power inverters too so don’t totally exclude the price of these units as a factor in your buying decision either. You do tend to get what you pay for with these products too. That means a power inverter that cost $40 will generally be much better than a power inverter that costs 420. There is a wide range of power outputs that car power inverters can supply. You have to make sure you buy a power converter that meets your demands for portable AC electricity. That means if you are going to use your device to supply power to a TV, laptop and electric fan at the same time, a 150-watt cigarette plugin only power inverter is not going to cut it. Before you start shopping it’s a good idea to add up the total wattage of the devices that you want to run off of your vehicles power converter. That way you will know what power range the model you need should be in. Not only do you have to have enough power to run your devices you also have to have enough outlets too. One or two outlets are what are supplied with most car power converter models. You will find some exceptions to this but not many. Make sure the outlets are the same as a standard three-prong grounded household outlet too. You want your power inverters hookup to be simple also. Some models will only plug into your vehicle’s cigarette lighter or auxiliary power point and these are the simplest models to use. Car power inverters that supply higher amounts of wattage will need to be connected directly to your vehicle’s battery. Make sure they have cable connections that will clamp or hook over your battery terminals in a simple manner. You have to consider where you want to set up your car power inverter too. 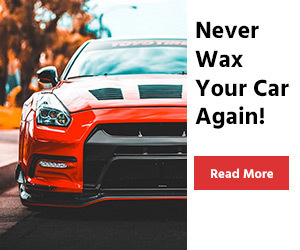 This means you will need the appropriate length corded plugin to get to the interior power point or the right length cables to get to the battery under the hood. You also want the cables to be made of thick rubber or neoprene material. Cables should also have large gauge conductors in them so they can transfer electricity without building up too much heat. You do not want a car power converter that is made out of flimsy materials for sure. They will be working in a harsh environment and they also tend to get very hot when they are working. You need a power inverter that is made out of a strong metal alloy like aluminum. That helps keep it lightweight and hold up to the heat and environmental conditions such as the interior of a hot car too. Not every model car power inverter has a built-in fan. Why are built in fans a nice thing to have on your unit? It’s because these devices tend to build up heat very quickly. If they build up the heat too fast it will trip their built-in thermal overload on a regular basis. A good built-in fan helps them stay cool longer and will also extend your inverters useful life. Believe it or not, there is actually car power inverter models that can be remote controlled. This makes it very simple to use them especially when they are hooked up to the battery of the car. Most power inverters do not have automatic shutoff switch so a remote control gives you the ability to shut off the power to your inverter from a distance. For such small devices, these car power inverters need a lot of built-in protections. Things such as fuses, low battery shutoffs, and high heat protection are important to have on any unit that you purchase. It is also important to have overload protection and over-current protection on any power inverter that you own too. So look for these things when you are deciding which model car power inverter to buy. These may be simple devices to hook up and use but they need specific instructions to come with them. This will enable you to use them the right way and not do anything that may damage or ruin them as you use them. So check and make sure any car power inverter unit you are thinking about buying comes with detailed instructions in the package or can be found online. These are very affordable products for sure but that does not make them a disposable item. Try to purchase one that comes with a decent warranty. Get the longest warranty possible and one that offers you the most comprehensive coverage. A good warranty just gives you a little extra peace of mind when making any type of purchase. How to Hook Up a Car Power Inverter? This is the easiest way to hook up a car power inverter as you simply plug it in. The problem with hooking up a power converter this way is you cannot use it to power higher wattage devices. This is a more difficult way to install a power converter because you have to go under the hood and hook a cable up directly to the battery. The benefit of doing this is you can then use the full wattage power that your inverter is capable of generating. It is important to note that some car power converters can be hooked up both ways. They can run lower wattage devices off of the vehicle power point plug or higher wattage devices of a cable that is wired to the battery terminals. 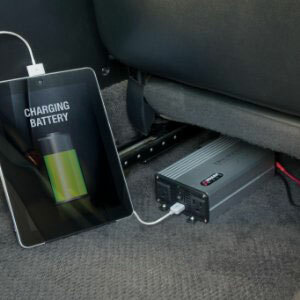 Some people will also to choose to mount the power inverter someplace in their car permanently while others will only bring it out and hook it up when they need it. Here are some of the most often asked questions about car power inverters. Question: can you plug in an extension cord to your power inverter? Answers: The answer to this question is yes but there is a limit to this too. That is because the longer your power cord is the more chance there is a power drop-off from your car power inverter. That means the shorter your extension cord is the better. Once you get out past 100 feet of extension cord your results will probably not be that good. Question: Should I idle my vehicle while using a power inverter off my car battery? Answers: We all have had experiences in our lives with dead car batteries. That is because of the simple fact that batteries cannot store that much electricity. They are meant to provide an initial power boost that is required to start an engine. Once the engine is started the vehicle alternator then keeps resupplying the power that is lost from the battery as your car operates. So if you are running a device on your car battery using a power inverter and your engine is not running it is draining the energy from your battery at the same time. Depending on the power draw of the device being run from you inverter your battery can go dead in a hurry. In other words, if your vehicle is parked outside (never idle a vehicle parked inside a garage) then your best bet is to at least run your engine on idle long enough to recharge your battery every so often. Question: I want to permanently mount my power inverter on my boat. Do you have any advice as to what type of surface I should mount the inverter on? Answers: It does not really matter what type of surface you mount your power inverter on within reason. Of course, you want that surface to be flat so you can do the mounting easier and also use the device more conveniently. There are a few other things you do want to keep in mind as far as where you mount your car power inverter. For one, you never want to mount near any heat source like a heater vent or in direct sunlight. Cold conditions are really bad for your power converter too as well as subjecting your power converter to excess moisture too. All of these things can take away from the useful life of your car power inverter if you’re not careful where you mount it. Car power inverters are really very handy devices to own. With just a simple hook up to your car battery or plug into your car power port, you can have the same AC power available that you use in your home. You can run portable stereo players, watch TV in your car or even charge your laptop with them. It gets even better when you see how affordable these portable AC power devices are. There is no reason for anyone to ever be without one. We took a look at some exceptional car power inverter models here in this article. All of the products we did car power inverter reviews on would be great to own. In case you did not like any of the models we reviewed you can use the handy buying guide to help you find the perfect model car power inverter for you. 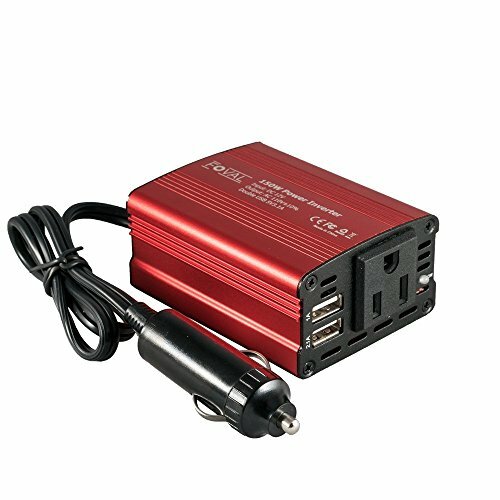 The best car power inverter is truly a must-have item.